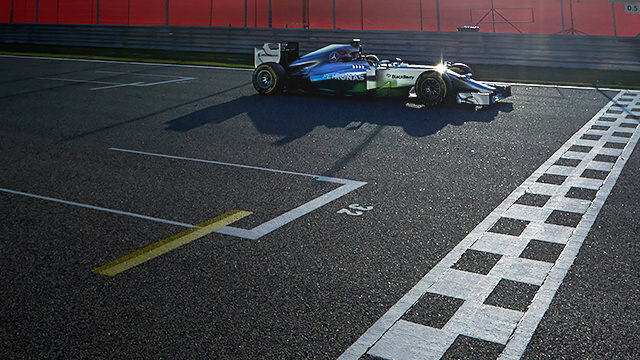 The days are ticking by and each one brings us closer to the first race of the brand new Formula One season, with the Australian Grand Prix just a week away. 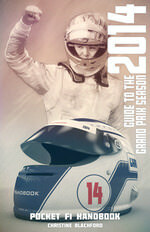 To celebrate the impending return of the pinnacle of motorsport, we're looking at a countdown of five items from my top ten list of things to look forward to this year, in the handy season preview: Pocket F1 Handbook: Guide to the 2014 Grand Prix Season. We've covered three so this must be the fourth, and it's all about getting to the chequered flag. We've talked at length about the regulation changes, but one of the fundamental things that they affect is reliability. In recent years, Formula One has seen most drivers getting to the end of a race on any given Sunday. Now, looking ahead to the 2014 season, there's no guarantee that all runners will see the chequered flag, if indeed any of them do! There were huge numbers of red flags during the pre-season testing, including eight one particular day. Naturally, the idea of testing is to work through all the problems before the season itself begins, but that still seems like an excessive amount. Even before testing began, Christian Horner was discussing the fact that in Melbourne there could be less than 50% of drivers getting to the end of the race. He must be slightly concerned that his team is now one of those that could very well rack up a DNF for the first race of the year. It will be a stark contrast to their 2013 performance, where reliability was supremely impressive for Red Bull and others. If anyone can get 99% uptime for their cars this year, they absolutely deserve to be champions. Despite the assumption that reliability will be an issue this year, some teams believe they will have improved massively over their testing performance. Caterham team principal Cyril Abiteboul has explained that F1 is the kind of sport where teams can't afford to go into races knowing they might fail, they need to develop around that as soon as possible. Until you are racing against the others, in particular, finding the right trade off between properly racing the other cars, preserving energy and preserving fuel, you do not know how it works in reality. So I think reliability wise a jump will be made, but in terms of the way the race will unfold, it might be extremely interesting. Whatever happens, hopes are high that this year the racing is going to deliver on a number of levels - teams in a new and exciting order in terms of performance, racers dealing with the new cars underneath them, and reliability becoming a prominent factor once again.